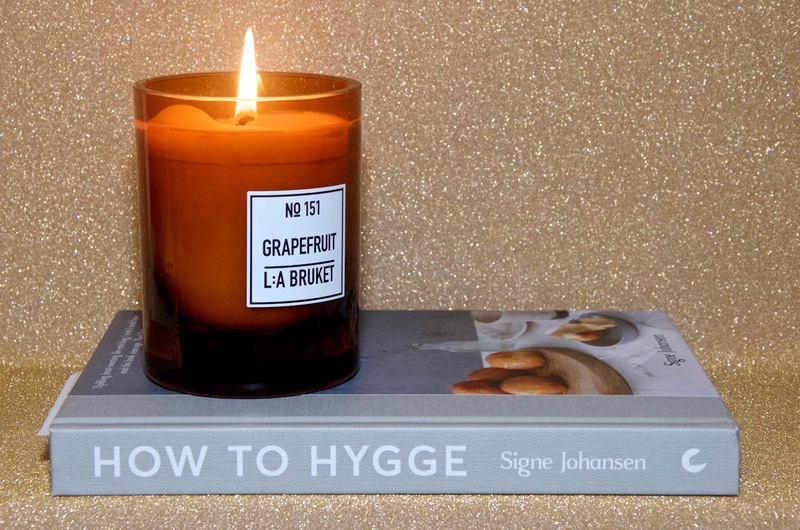 It's been really cold outside and I simply can't get enough hygge these days. I would stay warmly wrapped up in my duvet all day, watching movies and drinking endless cups of coffee if I could, but since I can't do that I've tried to keep my scented candle game strong for cozy workday vibes. 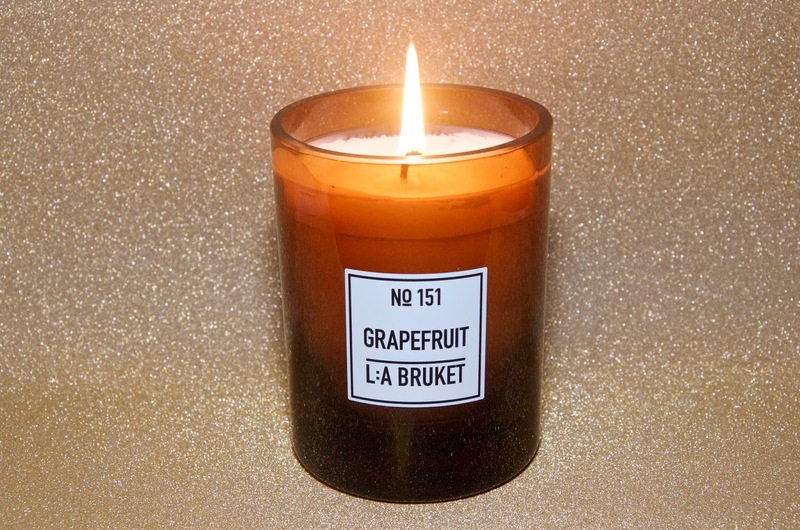 My latest favorite candle is the L:A Bruket No. 151 Grapefruit. Not only does it smell amazing, but its minimal chic design is right up my alley. It may seem a bit odd to have a grapefruit scented candle during the middle of winter, but this is not just any citrus scent. It has depth and a spiciness that convey warmth combined with the crisp, clean, citrusy smell of grapefruit - it fits in well with winter while offering a beautiful reminder of the summer to come on cold days, just when you need it most. The packaging is even more beautiful, sold in a white box with a minimalist black and white design that's so chic. The actual candle is made of white organic soy wax housed in a sleek amber glass jar with a simple black & white label and a wooden lid. The aroma isn't overpowering in the least, but it scents a room fairly quickly and the burn time is 45 hours. This is definitely my new favorite candle - I love everything about it and I've been burning it for hours on end during this bitterly cold winter we've been having. I know I'll have no problem continuing to enjoy this candle right through Spring and into Summer, if it lasts that long. The L:A Bruket Grapefruit No. 151 Scented Candle is £44.95 and available online at Rooi.com.